High Commissioner to Canada, His Excellency Carl Marshall, has stressed that Jamaica needed the support of all Jamaicans in Canada and around the world, to combat the negative behaviour of the few who sought to give the country a bad name. “All hands will have to be on board, because for every brother who does a wrong, for every sister who does a wrong, I too am in the wrong, I too have to suffer, I too have to bear the pain. We have to work together to ensure that Jamaica once again become known as a beautiful, supportive and socially acceptable country,” the High Commissioner said.Mr. Marshall was speaking at a ceremony marking the first Jamaican Diaspora Day in Toronto, Canada recently. In her remarks, Consul General Vivia Betton invited Jamaicans who “possess the skills and experience” to join the search for solutions to some of the problems at home. She also encouraged others to join the Jamaican Diaspora Canada Foundation (JDCF) and “pool your efforts through this channel in supporting the various projects, which are being planned to assist in various fields in Jamaica”. 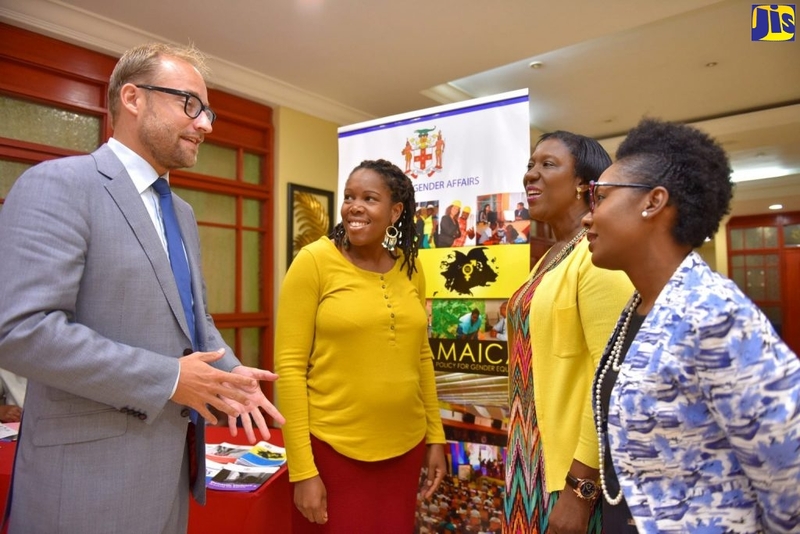 President of the JDCF, Phillip Mascoll said the plans of the Canadian diaspora groupincluded focusing on the deportation issue, offering scholarships to members of the Jamaica Constabulary Force (JCF) and launching a community ambulance service. Earl Jarrett, General Manager of the Jamaica National Building Society (JNBS) suggested several ways in which the Jamaican diaspora could positively effect change in Jamaica, including family-to-family support, continued support through alumni and hometown associations, regular visits back to Jamaica, active investments in the country and purchasing goods and services from the island. He also noted that Jamaicans living in Canada could lobby the Canadian government for tax concessions on investments in Jamaica and for charitable giving to the country. Jamaican music was highlighted with the Heritage Singers performing a medley of Jamaican hits from ska to reggae, while dub poet, Trevor Lawrence performed an entertaining piece, ‘Hey Likkle Bwoy’. Entertainment was also provided by The Praise Troupe, a children’s dance group; author Horane Smith read from his novel, ‘Reggae Silver’; and singers Josette Haughton and Marvia Providence who closed the evening with gospel music.